This is the story of how two individuals came together, combined their skills and expertise, and learned how to achieve excellence in sport and in life. It is a story of an athlete meeting an osteopath. 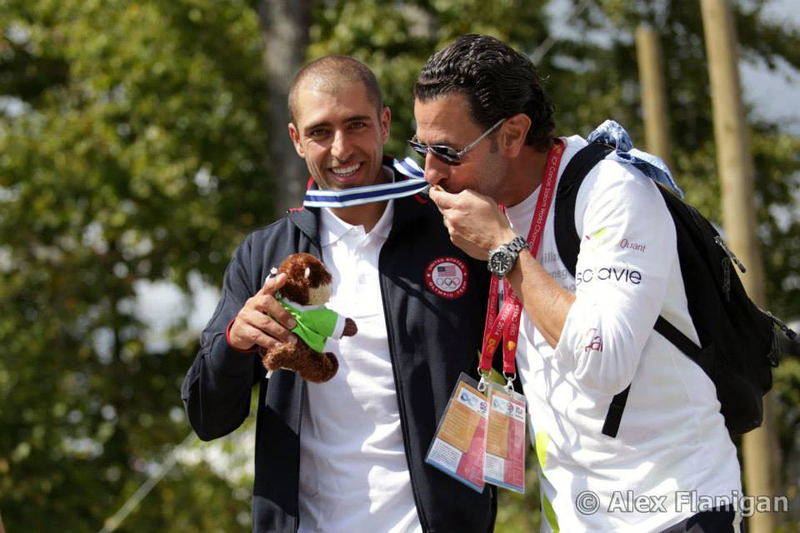 One (Fabien Lefèvre) is a World Champion and Olympian, the other (Guillaume Caunègre) a holistic healer of the highest level. Synergetics2 is the alliance between two top-level professionals who decided to work together and share their expertise so that one could achieve excellence; and they ended up developing and refining a system so that others could achieve peak performance as well. Shortly after this synergistic connection between these two individuals was implemented, in 2014, Fabien earned another World Championship. And he had never felt better, or stronger, or happier in the process. Realizing that the system that helped Fabien achieve this profound state of excellence was something special, Fabien and Guillaume created a system that others could use in their own pursuit of success; in sport and in business. “Excellence is something that can be learned, practiced and applied,” says Guillaume. For years Guillaume had worked on these formulas for excellence in leadership programs while practicing osteopathy in Paris. And in so doing was able to accompany many athletes to World Championship and Olympic podiums. Whether it was athletics, swimming, tennis, golf or motor sports, the results were the same. The therapeutic regime improved physical and mental energy, allowing each athlete to prepare longer, stronger, and with more intensity. And that made all the difference in terms of tangible results, career longevity and physical health and mental acuity. Fabien and Guillaume have taken that to a whole new level with Synergetics2, the program they designed together to take what they learned and offer it as a system of excellence to other top level athletes and to leaders of other fields, helping them get to the next level, achieve the highest performance, and to do so with a feel of joy and positive energy. Are you ready to reach the top? If so, Synergetics2 is for you.